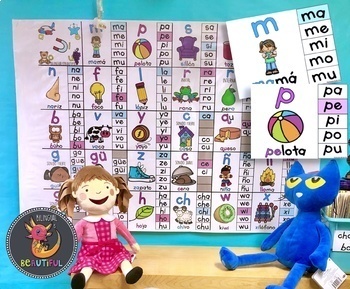 This zip file includes a pdf that contains a full Silabario(Spanish Syllable Chart) and individual syllable cards that can be used as Word Wall Headers, Focus Wall or as Task Cards. The photograph displays the poster I was able to print using "Blueprint services". This file also contains a jpg. 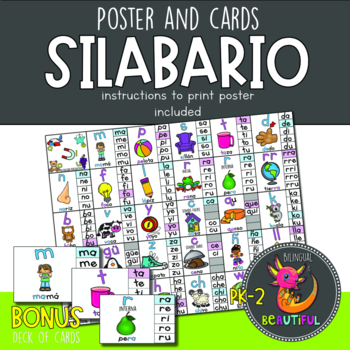 of the Silabario to make poster "blueprint printing" easier. The pdf. contains instructions and steps used to print the 24x36 poster.